Periodontal disease, also known as gum disease, is, unfortunately, more common than most would expect. 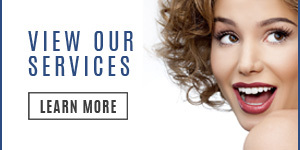 Over 75% of all Americans are afflicted with periodontal disease, and many are completely unaware. Periodontal treatments are dependent on the type and severity of the gum disease. 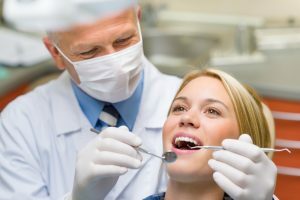 If diagnosed and treated early enough, simple periodontal therapy may be enough, but if periodontitis has advanced to the stages where the structure supporting the teeth has been affected, periodontal surgery may be necessary. A proper oral hygiene plan at home is vital to preventing periodontal disease from becoming a serious recurring issue. Home care alone, however, is not usually enough to control bacterial infections that occur below the gum line where a toothbrush, floss, or other oral hygienic care products are unable to reach. Once bacteria has propagated beneath the gum line, specialized instruments used in periodontal cleaning are needed for their removal. • Front teeth may begin to drift, showing spaces. 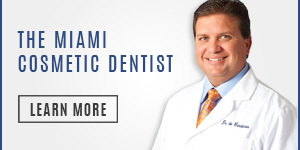 Receive the best Periodontal Disease Treatment by the Miami Cosmetic Dentist, Andres De Cardenas. 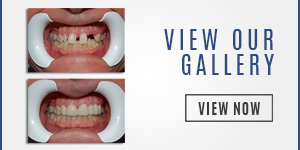 Schedule an appointment at 305-251-3334 today or click here!